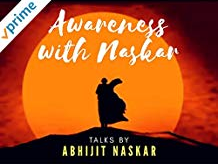 Abhijit Naskar is one of the world’s celebrated Neuroscientists, an International Bestselling Author of numerous books and a popular advocate of mental wellness and global harmony. He has revealed to the world with his contributions in Science how the basic awareness of the brain can completely redefine our perception of life and make our daily life much more cheerful. He takes us on a fascinating investigative journey of understanding the human mind and its vivid features. He was born in Calcutta, India. His rejuvenating scientific philosophy of the mind has been lavishing human life with the colors and sweetness of self-awareness, since its advent with his very first book “The Art of Neuroscience in Everything”. A humanitarian poetry entitled “Lives to Serve Before I Sleep”, from Abhijit Naskar’s upcoming book with the same title. Cause civilization is trembling and walking unsteady. Cause they’ve turned the world into a bloody pond. Cause all are chasing petty gratification. Cause where humans act human there reigns harmony. Art is the medicine for the soul. It is the purest form of expectation-less action. Art is the flow of potential through human hands, rising from the deepest fathoms of the human soul, that remain otherwise inaccessible to the world, as well as the self. The self finds an inexplicable sense of expression through art – an expression that is beyond the bounds of words – an expression that can never be defined with explanations – an expression that can never be comprehended through intellect. Inexplicability and inaccuracy are the lifeforce of art. Art is beyond intellect, it is beyond all forms of radical rationalism, it is beyond all those convictions of the mind that are born in comfort and security. Where reasoning fails to do justice to the expression of the soul, there begins the uncharted territory of art. Every emotion, every phrase or sentence, every bit of human action, can be a form of art. Art is not necessarily bound to the stereotypical notions of the human society. Art can come in the form of a little sentence, art can come in the form of a simple brush-stroke, art can come in the form of an everyday snapshot, art can come in the form of a plain strumming on the fret of an old guitar. Art doesn’t require definition, and more importantly, art cannot be bound by the descriptions of words, yet words themselves can form the most rejuvenating and liberating form of art. Art is the newly sprung river that keeps flowing at its own pace, based on its own unconditional knacks, passion, and its nature. Nature itself is art, and as such, art can be found in everything that belongs to nature. And in the world we live, there is nothing that doesn’t belong to nature, for everything is nature, hence, everything is art. Even science is art, when it flows pure and free – literature is art, when it flows pure and free – mathematics is art, when it flows pure and free. Any act of the mind that flows pure and free, is art, for freedom is the soul of art. A Sonnet by Abhijit Naskar from the upcoming work “The Constitution of The United Peoples of Earth“. For there is death in worship, and freedom is life’s mainspring. 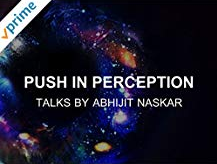 Celebrated Neuroscientist, Author and World Teacher Abhijit Naskar takes us on an investigative journey of beliefs and their implications in the human society. Amazon Music, Spotify, VK, Deezer, Saavn, Google Play and other platforms. The problem with metaphysics in the current mental stage of the human society, is that it often hinges on the borderline between sanity and insanity – and here by insanity, I am talking about all the mystical nonsense that the mind cooks up and holds on to, even amidst the rise of reasoning and evidence. And that’s precisely where metaphysics loses its essence, for those who foster a mystical notion of metaphysics, only delude themselves with supernatural nonsense and therefore reject all sorts of scientific and philosophical arguments as well as evidence. And hard as it may sound, this cheap mystical notion of metaphysics has become the popular metaphysics of the so-called modern world. And in the realm of popular metaphysics, the mind loses all its sanity in the name of non-conformity and takes nonsense to be a form of higher sense and supernatural insanity and fallacy to be spiritual sanity and truth. In an attempt to break free from the chains of religious orthodoxy as well as radical rationalism, these mysticism-obsessed beings end up bound in yet another form of orthodoxy or extremism, replete with the primal psychological poison of supernaturalism. Mark this my friend, breaking the conformity doesn’t mean creating yet another supernatural conformity. Belief in the supernatural, doesn’t make a person spiritual. The term “spiritual” might have come to existence in a supernatural manner, but time has changed, so should the definition of spirituality. And if we can’t make our perception of spirituality evolve, then for the good of humanity, it would become an absolute necessity to get rid of such spirituality all together. An idea that doesn’t evolve, either gets destroyed or destroys the world. And this very evolution is the life-force of metaphysics and spirituality. If an understanding is found to be untrue, upon the rise of evidence, then the sane thing to do is to make that understanding evolve, based on the newly arisen evidence. However, the so-called believers in popular metaphysics have this delusional idea, that metaphysics is somehow beyond the bounds of evidence and reasoning. And that’s precisely where metaphysics turns into metaphysical nonsense. Hence, arose my statement, in one of my earlier works – “I don’t do metaphysics. Neither do I have the luxury to talk about my beliefs.” Here the term metaphysics refers to popular metaphysics, that is, the mystical and supernatural kind. And as I have said countless times, I must rise whenever humanity is tormented by delusions and confusions – whenever they can’t distinguish between natural sanity and plain supernatural insanity. So, this piece is my offering to you, my dear sisters and brothers, as a helping hand in your journey of life. None of my works is a gospel or instruction manual on how to live your life, for no one knows how to live your life, except for you – so, here I give you a diluted portion of my soul, to last with you, so long as you live, and hold your hand while you walk past the darkest of days. And never forget o brave one, no matter the age or origin, a text can never ever be the guardian angel of humanity, for humanity is its own guardian angel. And when they go astray from the path of love and conscience, they can also become their own ominous demon. And as for me, I am just your brother passing through time. People have called me many things throughout the ages – saint, messiah, guru, divine incarnation and many more, but you know very well what I am – I am a plain ordinary human in the service of the humans – service is my oxygen, service is my water, service is my bread and service is my butter. And this service is no glorious altruistic deed, rather it is simple pure human existence, for I can’t even dream of existing except for my seven billion sisters and brothers. Someone said to me the other day “you should have some fun in life, instead of just working all the time”. I replied to the person “you may have the luxury to have fun, but I can’t even dream of having fun while my own humanity is tormented with countless forms of misery.” If humanity is in misery, it may not be my fault, but if I die leaving humanity with the same amount of misery, then it is my fault. When I was a kid, my father stuck a little note on my reading lamp, that said “stop not till you reach your goal”. At that time, I believe he wanted me to be successful in life, but what he could not comprehend, was that my goal was not like that of the most of the population. My goal – my purpose – the reason for my existence is only one – it is to ensure that humanity doesn’t lose sight of its humanity, in the constant battle between beliefs – between ideologies – between opinions – between religious orthodoxy and radical reasoning. Fight, fight and fight – all they do is fight – they don’t care about harmony or world peace, all they care about is to prove that they are right and others are wrong – the scientists, the philosophers, the preachers, the spiritualists – every single one of them (excluding the exceptions) just want to triumph over the other – and that’s precisely what’s wrong with this world – they all want victory to be their exclusive possession and defeat to be the possession of the others. This way, no amount of riches will ever bring happiness and harmony in this world, because to have happiness and harmony, we all must act together to rise triumphant as one species, and not as individuals or tiny groups. From an insignificant bunch of apes in a corner of Africa we have become the masters of an entire planet – and still if we can’t have the sense of unity, then what’s the use of all this power and all the glorious intellect of which we are so proud of! Throw way such intellect that doesn’t bring people together – throw away such scriptures that create walls rather than bridges – throw away such institutions that proclaim exclusive authority over divinity – throw away such reasoning that barres you from accepting human weakness. Throw away every single trace of inhumanity, regardless of their intellectual or non-intellectual grounds. Intellect without humanity, is as dangerous as religious fundamentalism. Similar to religious fundamentalism, unrestrained intellect can make a person blind to the psychological necessities of others, for physical necessities are much easier to notice than those of the psyche. That’s why many sophisticated atheist intellectuals find it rather civilized and glorious to talk most boastfully about the harms of religion in the human society, while being completely unaware of the society’s psychological reliance over religion and even when a few of them are aware of it, they somehow fail to realize in their bones, the existential significance of it all, because they talk with the force of intellect and not with the whole force of life. And that’s where metaphysics comes in, for metaphysics is simply the realization of reality as it is, and not as how we believe it to be. And this belief beyond reality is prevalent, both on the side of religious fundamentalism and militant atheism or atheistic fundamentalism, for they both deny basic human necessity, if it doesn’t suit their own perception. There is no Lord Almighty up there with the divine concern for life on a tiny blue planet – that’s a fact, but if we focus simply on this fact, then we shall never ever be able to diminish the differences between people. In the pursuit of proving one side to be right, humanity keeps on losing all together. So, the focus must shift – it must shift from argumentation to the solution of real problems of this planet. And we cannot do that, unless we first put aside our primal desire for petty victory as individuals or tiny groups. Remember, wise is not the one who wins, but the one who knows where to lose. So, it’s time that we start thinking about collective victory over personal victory. And in fact, those who truly desire to make this world a better place for future generations, would never see collective victory to be separate from personal victory – so, if you are such a person, you would see your own victory in the victory of humanity. Rise and realize my would be patriot, that personal defeat becomes bleak in front of the victory brought to humanity by you. Don’t win as a person, do something to make humanity win. Take the steps beyond personal gain and personal pain, to bring victory upon humanity. Be the cause of humanity’s joy – be the cause of humanity’s cheer – be the cause of humanity’s harmony – and above all be the cause of humanity’s unification – even if it means walking on a road full of thorns every single day of your life. Help humanity be human again – make humanity human again, because right now, it’s anything but human. Today’s humans are Christians, Jews, Muslims, Atheists, Liberals, Republicans and so many other things – they are everything but the one thing that matters more than anything else. In pursuit of sustaining the illusions of man-made identities, the humans have forgotten to be humans. Amidst this crisis and chaos of identities, those who can realize their biological identity of being human, have more practical metaphysics in them than all the mystics, preachers and philosophers in the world. So, here the real question is not which identity is the greatest and highest among them all – to screw or not to screw this world, that’s the question. Because, by taking labels of identity to be more significant than human life, we would only make a mess of this world, like we have done so far. So, now is the time, that we move away from that self-destructive path. Now is the time that we walk as humans and not as labels. So, rise and walk, like did Rosa Parks, MLK, Madiba (Mandela), Honest Abe (Lincoln), Mevlana (Rumi) and many more. They did their part – I am doing mine – now it’s your turn. Talk on Fake News by the Celebrated Neuroscientist Abhijit Naskar. Celebrated Neuroscientist and International Bestselling Author Abhijit Naskar takes us on an investigative journey of the biological seeds of corruption. Also listen on Amazon Music, Spotify, Saavn, Deezer, Google Play and other platforms.